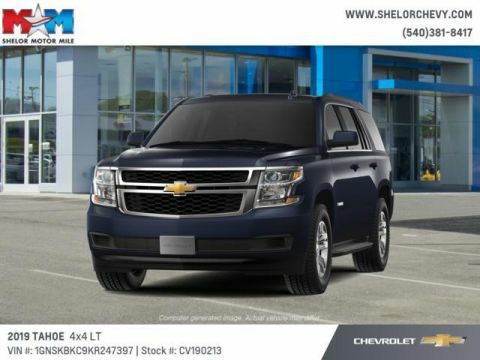 Heated Leather Seats, Nav System, Moonroof, 4x4, Power Liftgate, Rear Air, Quad Bucket Seats, AUDIO SYSTEM, 8 DIAGONAL COLOR TOUCH... SUNROOF, POWER, TILT-SLIDING. BLUE VELVET METALLIC exterior and JET BLACK interior, LT trim. CLICK NOW! KEY FEATURES INCLUDE Leather Seats, 4x4, Power Liftgate, Rear Air, Heated Driver Seat, Back-Up Camera, Running Boards, Premium Sound System, Onboard Communications System, Trailer Hitch, Aluminum Wheels, Remote Engine Start, Dual Zone A/C, WiFi Hotspot, Lane Keeping Assist Satellite Radio, Privacy Glass, Keyless Entry, Remote Trunk Release, Child Safety Locks. OPTION PACKAGES SUNROOF, POWER, TILT-SLIDING with express-open and close and wind deflector, SEATS, SECOND ROW BUCKET, MANUAL, AUDIO SYSTEM, 8 DIAGONAL COLOR TOUCH-SCREEN NAVIGATION WITH CHEVROLET INFOTAINMENT AM/FM stereo with seek-and-scan and digital clock, includes Bluetooth streaming audio for music and select phones; voice-activated technology for radio and phone; and Shop with the ability to browse, select and install apps to your vehicle. You can customize your content with audio, weather and more; featuring Apple CarPlay and Android Auto capability for compatible phone; 5 USB ports and 1 auxiliary jack, TRANSMISSION, 6-SPEED AUTOMATIC, ELECTRONICALLY CONTROLLED with overdrive and tow/haul mode (STD), ENGINE, 5.3L ECOTEC3 V8 WITH ACTIVE FUEL MANAGEMENT, DIRECT INJECTION AND VARIABLE VALVE TIMING includes aluminum block construction (355 hp [265 kW] @ 5600 rpm, 383 lb-ft of torque [518 N-m] @ 4100 rpm) (STD). VISIT US TODAY At Shelor Motor Mile we have a price and payment to fit any budget. Our big selection means even bigger savings! Need extra spending money? Shelor wants your vehicle Tax DMV Fees & $597 processing fee are not included in vehicle prices shown and must be paid by the purchaser. Vehicle information is based off standard equipment and may vary from vehicle to vehicle. Call or email for complete vehicle specific informatio Chevrolet Ford Chrysler Dodge Jeep & Ram prices include current factory rebates and incentives some of which may require financing through the manufacturer and/or the customer must own/trade a certain make of vehicle. Residency restrictions apply see dealer for details and restrictions. All pricing and details are believed to be accurate but we do not warrant or guarantee such accuracy. The prices shown above may vary from region to region as will incentives and are subject to change. Nav System, Entertainment System, Heated Leather Seats, Rear Air, Hitch, 4x4, Quad Bucket Seats, WHEELS, 20 X 9 (50.8 CM X 22.9 CM) POLISHED-ALUMINUM. LT trim, DEEPWOOD GREEN METALLIC exterior and JET BLACK interior. CLICK NOW! KEY FEATURES INCLUDE Leather Seats, 4x4, Rear Air, Heated Driver Seat, Back-Up Camera, Running Boards, Premium Sound System, Trailer Hitch, Remote Engine Start, Dual Zone A/C, Lane Keeping Assist, WiFi Hotspot, Heated Seats, Heated Leather Seats Privacy Glass, Child Safety Locks, Steering Wheel Controls, Alarm, Electronic Stability Control. OPTION PACKAGES SUN, ENTERTAINMENT AND DESTINATIONS PACKAGE includes additional 9 months of SiriusXM Radio and NavTraffic service, (CF5) power sunroof, (U42) rear seat DVD entertainment system and (IO6) 8 diagonal color touch-screen Navigation with Chevrolet Infotainment, LUXURY PACKAGE includes additional 9 months of SiriusXM Radio, (AS8) power fold third row 60/40 split bench seats, (ATH) Passive Entry System, (ATT) second row power release 60/40 split folding bench seat, (BTM) keyless start, (DL3) outside heated power-adjustable, power-folding mirrors, (KA6) heated second row seats, (N38) memory power tilt and telescopic steering column, (TC2) hands free liftgate, (T3U) fog lamps, (UD5) Front and Rear Park Assist, (UFG) Rear Cross Traffic Alert, (UKC) Lane Change Alert with Side Blind Zone Alert and (UVD) heated steering wheel and color key rear fascia trailer hitch closeout, ENTERTAINMENT SYSTEM, REAR SEAT, BLU-RAY/DVD with remote control, overhead display, Wi-Fi wireless projection capability, two 2-channel wireless digital headphones, auxiliary HDMI/MHL audio/video input and 2 USB ports, WHEELS, 20 X 9 (50.8 CM X 22.9 CM) POLISHED-ALUMINUM Tax DMV Fees & $597 processing fee are not included in vehicle prices shown and must be paid by the purchaser. Vehicle information is based off standard equipment and may vary from vehicle to vehicle. Call or email for complete vehicle specific informatio Chevrolet Ford Chrysler Dodge Jeep & Ram prices include current factory rebates and incentives some of which may require financing through the manufacturer and/or the customer must own/trade a certain make of vehicle. Residency restrictions apply see dealer for details and restrictions. All pricing and details are believed to be accurate but we do not warrant or guarantee such accuracy. The prices shown above may vary from region to region as will incentives and are subject to change. Heated Leather Seats, DVD Entertainment System, Navigation, Captains Chairs, Trailer Hitch, 4x4, SEATS, SECOND ROW BUCKET, POWER RELEA... Rear Air, LUXURY PACKAGE. BLACK exterior and JET BLACK interior, LT trim. CLICK NOW! KEY FEATURES INCLUDE Leather Seats, 4x4, Rear Air, Heated Driver Seat, Back-Up Camera, Premium Sound System, Trailer Hitch, Remote Engine Start, Dual Zone A/C, WiFi Hotspot, Lane Keeping Assist, Heated Seats, Heated Leather Seats Privacy Glass, Steering Wheel Controls, Child Safety Locks, Alarm, Electronic Stability Control. OPTION PACKAGES SUN, ENTERTAINMENT AND DESTINATIONS PACKAGE includes additional 9 months of SiriusXM Radio and NavTraffic service, (CF5) power sunroof, (U42) rear seat DVD entertainment system and (IO6) 8 diagonal color touch-screen Navigation with Chevrolet Infotainment, LUXURY PACKAGE includes additional 9 months of SiriusXM Radio, (AS8) power fold third row 60/40 split bench seats, (ATH) Passive Entry System, (ATT) second row power release 60/40 split folding bench seat, (BTM) Keyless Start, (DL3) outside heated power-adjustable, power-folding mirrors, (KA6) heated second row seats, (N38) memory power tilt and telescopic steering column, (TC2) hands free liftgate, (T3U) fog lamps, (UD5) Front and Rear Park Assist, (UFG) Rear Cross Traffic Alert, (UKC) Lane Change Alert with Side Blind Zone Alert and (UVD) heated steering wheel and color key rear fascia trailer hitch closeout, ENTERTAINMENT SYSTEM, REAR SEAT, BLU-RAY/DVD with remote control, overhead display, Wi-Fi wireless projection capability, two 2-channel wireless digital headphones, auxiliary HDMI/MHL audio/video input and 2 USB ports, OFF-ROAD PACKAGE includes Z71 Suspension, (NZZ) Z71-specific skid plates Tax DMV Fees & $597 processing fee are not included in vehicle prices shown and must be paid by the purchaser. Vehicle information is based off standard equipment and may vary from vehicle to vehicle. Call or email for complete vehicle specific informatio Chevrolet Ford Chrysler Dodge Jeep & Ram prices include current factory rebates and incentives some of which may require financing through the manufacturer and/or the customer must own/trade a certain make of vehicle. Residency restrictions apply see dealer for details and restrictions. All pricing and details are believed to be accurate but we do not warrant or guarantee such accuracy. The prices shown above may vary from region to region as will incentives and are subject to change. 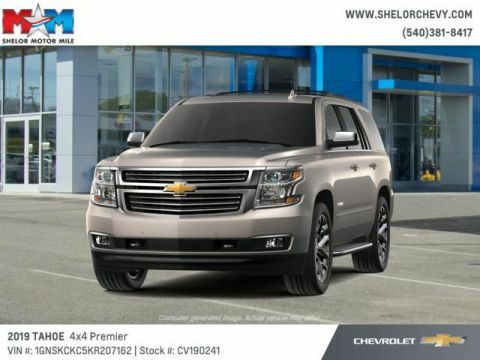 Nav System, Entertainment System, Third Row Seat, Heated Leather Seats, 4x4, Hitch, Quad Bucket Seats, TRANSMISSION, 6-SPEED AUTOMATIC, ELEC... PEPPERDUST METALLIC exterior and COCOA/DUNE interior, Premier trim. CLICK NOW! KEY FEATURES INCLUDE Third Row Seat, 4x4, Quad Bucket Seats, Power Liftgate, Rear Air, Heated Rear Seat, Back-Up Camera, Running Boards, Premium Sound System, Trailer Hitch, Remote Engine Start, Dual Zone A/C, Hands-Free Liftgate, WiFi Hotspot, Blind Spot Monitor. Keyless Entry, Remote Trunk Release, Privacy Glass, Steering Wheel Controls, Child Safety Locks. OPTION PACKAGES WHEELS, 22 X 9 (55.9 CM X 22.9 CM) 6-SPOKE CHROME MULTI-FEATURED DESIGN, SUN, ENTERTAINMENT AND DESTINATIONS PACKAGE includes additional 9 months of SiriusXM Radio and NavTraffic service, (CF5) power sunroof, (U42) rear seat DVD entertainment system and (IO6) 8 diagonal color touch-screen Navigation with Chevrolet Infotainment, ENTERTAINMENT SYSTEM, REAR SEAT, BLU-RAY/DVD with remote control, overhead display, Wi-Fi wireless projection capability, two 2-channel wireless digital headphones, auxiliary HDMI/MHL audio/video input and 2 USB ports, LPO, BLACK ROOF RACK CROSS RAILS (dealer-installed), LPO, CHROME RECOVERY HOOKS (dealer-installed), AUDIO SYSTEM, 8 DIAGONAL COLOR TOUCH-SCREEN NAVIGATION WITH CHEVROLET INFOTAINMENT AM/FM stereo with seek-and-scan and digital clock, includes Bluetooth streaming audio for music and select phones; voice-activated technology for radio and phone; and Shop with the ability to browse, select and install apps to your vehicle. You can customize your content with audio Approx. Original Base Sticker Price: $74,700*. Tax DMV Fees & $597 processing fee are not included in vehicle prices shown and must be paid by the purchaser. Vehicle information is based off standard equipment and may vary from vehicle to vehicle. Call or email for complete vehicle specific informatio Chevrolet Ford Chrysler Dodge Jeep & Ram prices include current factory rebates and incentives some of which may require financing through the manufacturer and/or the customer must own/trade a certain make of vehicle. Residency restrictions apply see dealer for details and restrictions. All pricing and details are believed to be accurate but we do not warrant or guarantee such accuracy. The prices shown above may vary from region to region as will incentives and are subject to change.